If you are a classroom teacher, you are always looking for ways to make lessons a little bit better. Some techniques work great right away, and others need to be tweaked over time. Technology allows more ways to tweak lessons, promote discussion and enhance what is really being learned. With the help of a fast and secure school wireless network, wireless devices can truly make a classroom portable, rearranging the usual rows of desks and allowing students to conduct research easily and enhance learning. But wireless technology doesn't work well only with students. With SecurEdge Networks we can develop, design and deploy a secure school wireless network that will not just help students with opportunties to learn, but help the IT department control assets and users on the wireless network. In the 21st century, students must master many forms of communication to be literate. Social media is not replacing traditional conversation in the classroom, but it is just one way to help facilitate it and add to it. It also allows for the conversation to occur outside of class hours and for those ideas to be discussed in class the next day. Students who practice a variety of ways of communicating are preparing for the blended learning experiences they may encounter in the future. Some teachers are even allowing students to use their smartphones during class to not just comment and reply on current schoolwork, but to search social media for information for their assignments. By providing the school with a secure school wireless network, students can access and connect easily to allowed social media websites, such as Twitter. By using Twitter, students can search for comments and information on current schoolwork assignments that will help broaden their thoughts and learning. Social Media use in the classroom is opening up students minds, far beyond just opening one text book. A technology explosion invaded homes across America as the iPod touch and the iPad reached teenagers' anxious hands. Teens were not alone in their enthusiasm, however, as teachers also grasped onto the new technology. Every year school disctricts shell out thousands of dollars on new textbooks. These new textbooks are not only a drain on funds, but the room to store these text books also take up time and resources. Schools can solve both these issues simply by providing students the ability to use their wireless devices to house their textbooks electronically. By providing students access to a secure wireless network, teachers can rest assured that while their students are on-line, they are viewing only the selected materials and websites allowede and assigned to the student network. RTLS helps retailers track merchandise, allows hospitals to find equipment and staff, and even tracks the wait times for patients in waiting rooms in hospital networks. So what can it do for school networks? The answer is alot! As technology in the classroom increases, schools are constantly in need of a way to keep track of the new and expensive technology being integrated into the classroom. 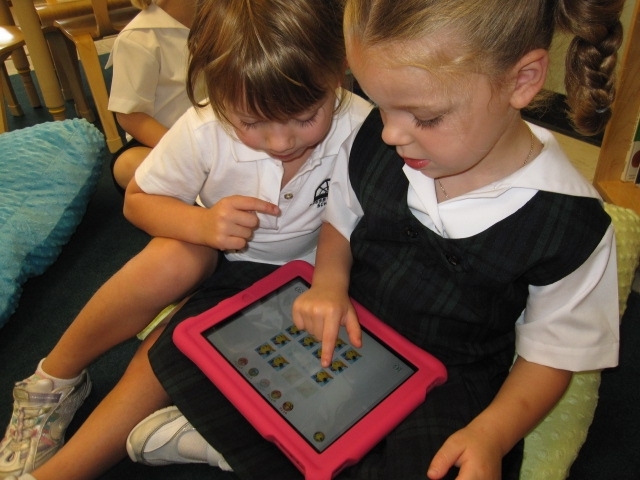 Schools across the globe are providing Ipads or laptops to students from kindergarten to college level. Lost of damaged technology assets can cost tens of thousands of dollars if not more per year. With wireless tracking (Wi-fi RTLS), your school wireless network will help you keep track of all your technology -- showing you the exact location of a device, even setting off alerts if a device leaves a specified area. A safe and fast school wireless network can bring many benefits to the entire school, including students, teachers and staff. Do you need help designing the perfect school wireless network for your school? Contact us today for a free consultation on your school wireless network. or download a free school wireless networks design guide.